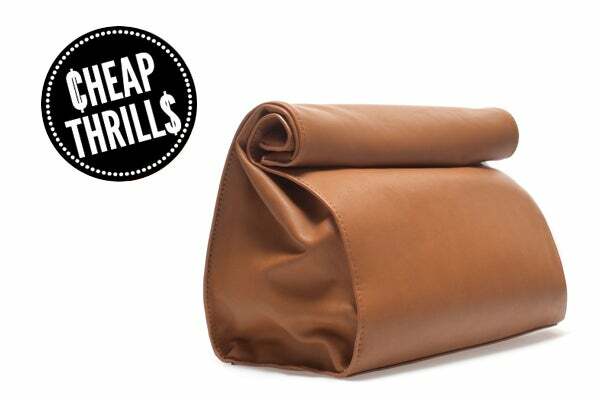 While the trend of brown-bag handbags may not be entirely new (Jil Sander, Margiela, and Marie Turner, among many, have their versions), we like the idea of testing out the cheeky style without a price tag that'll leave us brown-bagging our lunches for the next six months. Luckily, Zara has swooped in with the solution to satisfy our sartorial curiosity. While this buttery, camel-colored handbag is called the Basic Messenger Bag, there's no denying that the fold-over shape and slouchy aesthetic is all too similar to the paper carryall that we once toted our PB&Js to school in each day. And priced at $35, it won't make upset your stomach, either. Just be sure to remember which one you left your wallet in...and which you tossed last night's leftovers. Zara Basic Messenger Bag, $35.90, available at Zara.